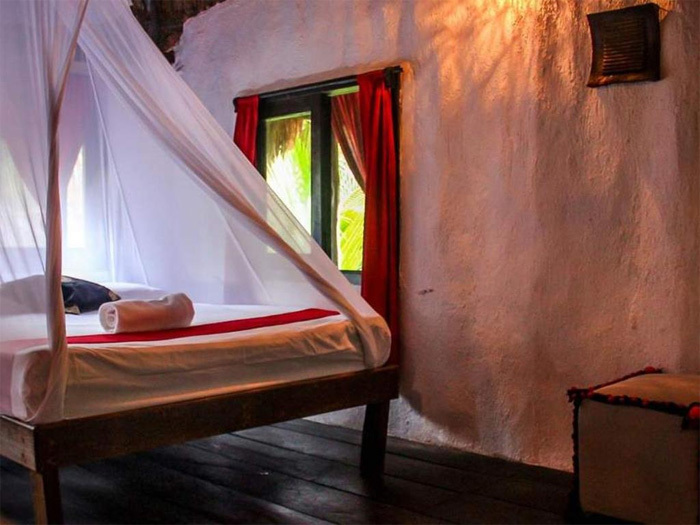 Das OM Tulum bietet Romantische und entspannende Zimmer und Cabanas. Schlendern Sie durch die Steinpfade oder die angelegten Gärten im warmen Sonnenlicht. 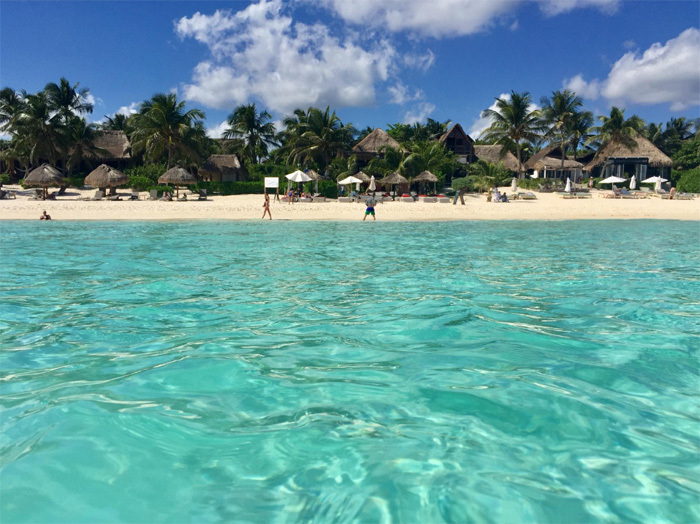 Entspannen Sie im Aufenthaltsraum oder in einer Hängematte unter einer Palme und geniessen Sie die Ozeanbrise, die vom Meer hereinkommt. 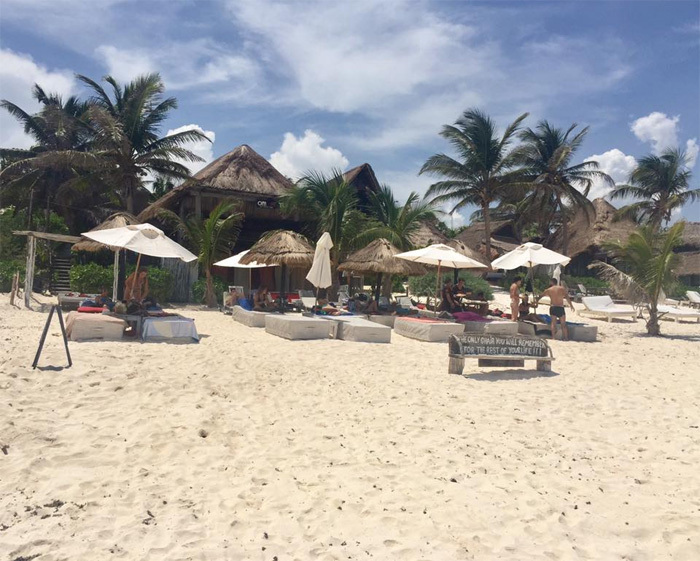 Das intime, natürliche Ambiente, das Sie als Gast im OM Tulum Beach Hotel fühlen, wird Ihnen die erholsamen Momente bescheren, die Sie sich wünschen. 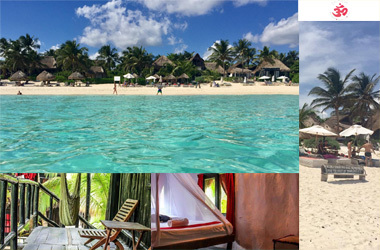 Romantic and Relaxing Ocean Side Private Rooms and Cabanas. Stroll along the stone pathways or landscaped gardens in the warm sunlight. 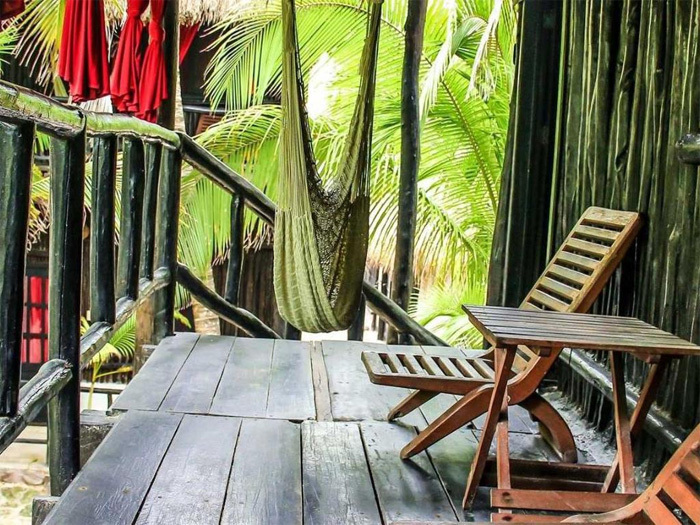 Lounge in a hammock under a palm tree in the ocean breeze coming in from the sea on a beach in Tulum. 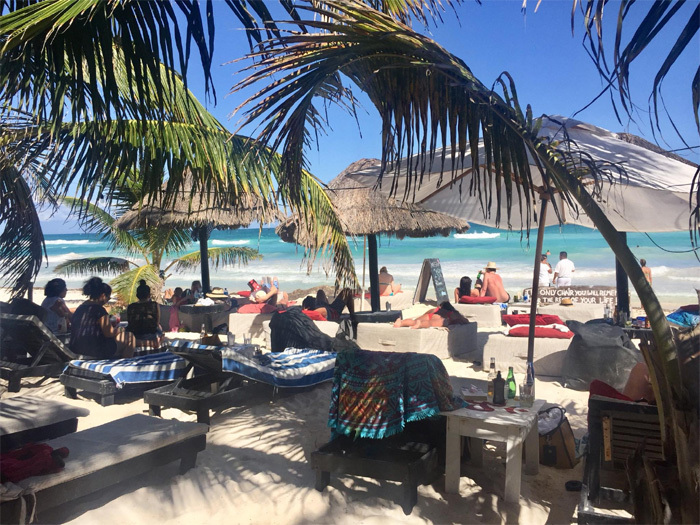 The intimate natural ambiance that you feel as a guest at OM Tulum Beach Hotel will bring forth the restful moments you've longed for while still providing you a full service beach club and romantic ocean view restaurant.